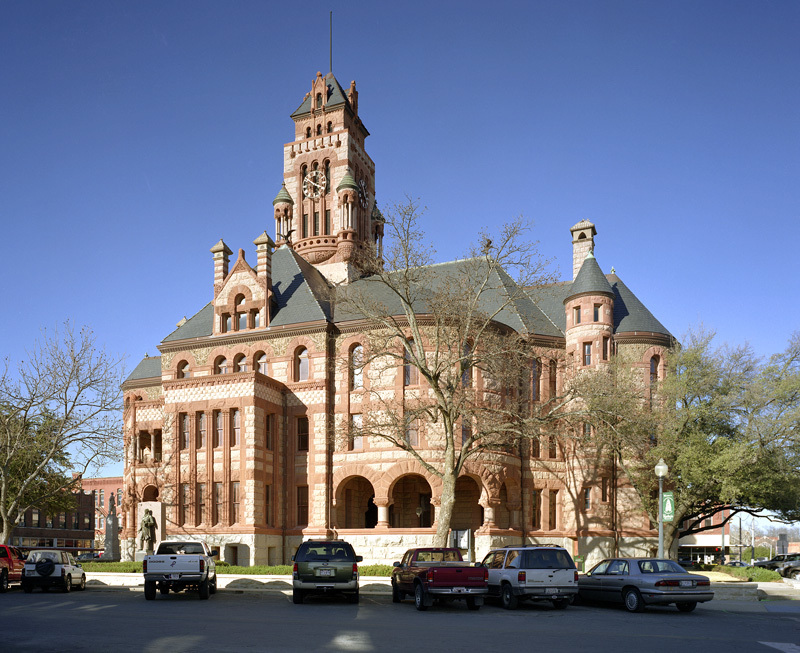 Unlike other historic Texas courthouses designed by James Riely Gordon, what’s different about the Ellis County Courthouse in Waxahachie is its elaborate surface ornamentation. 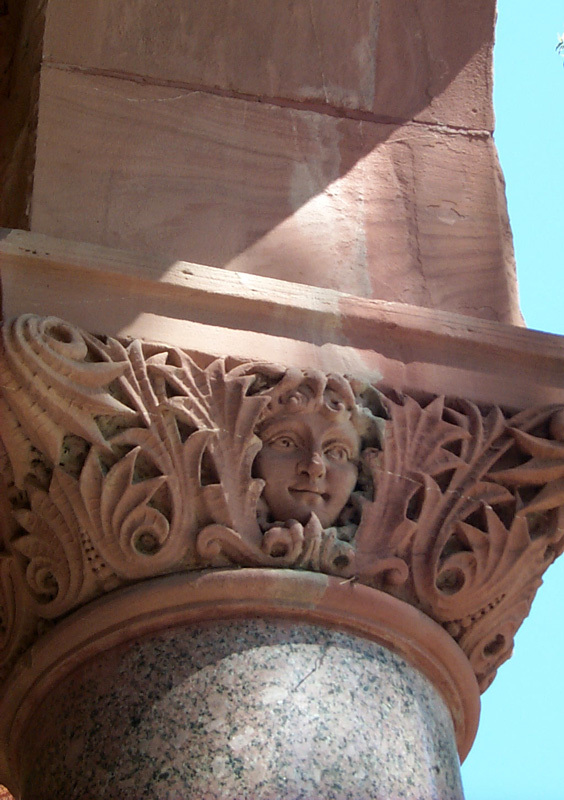 Many of the column capitals contain unusual faces depicting men and women, young and old, each expressing something different—from serene smiles to nasty grimaces—and one even winks. 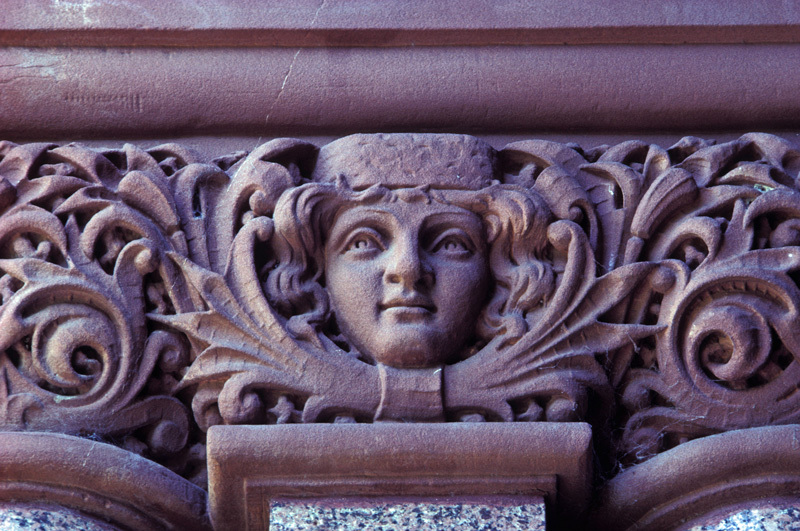 Local lore tells that during construction of the Romanesque Revival-style courthouse in the late 1890s, a stone carver fell in love with his landlady’s daughter. When his infatuation soured he carved progressively uglier faces in the stone. Another story says the faces represent townspeople the building artisans disliked. No matter the true story, the carvers left an unusual imprint on this courthouse. 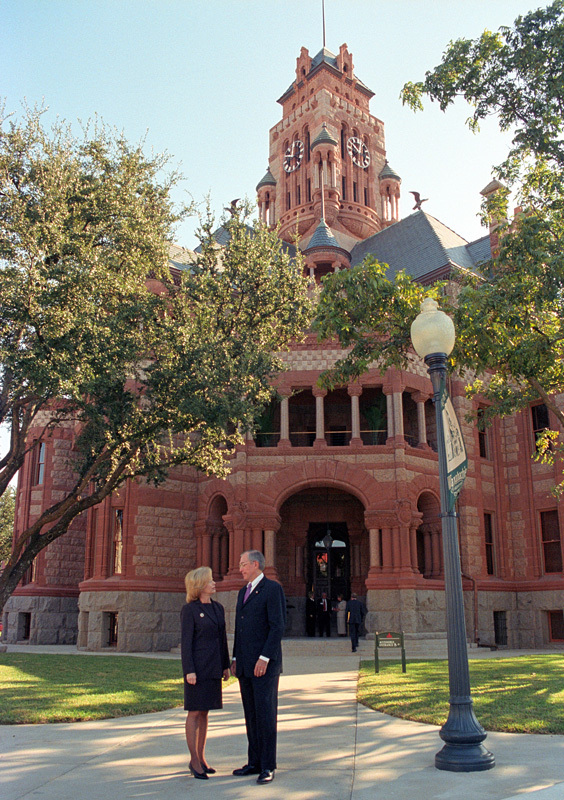 As part of the Texas Historical Commission’s (THC) Texas Historic Courthouse Preservation Program (THCPP), the stunning pink granite and red sandstone exterior was restored to its 1897 design and rededicated in 2002. The sandstone was cleaned and a careful analysis of the building mortar was made to match the sandstone. 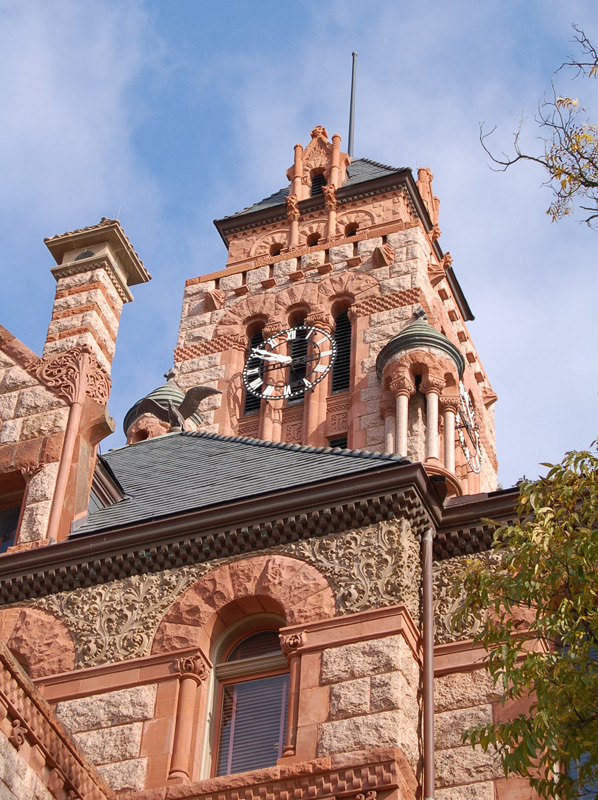 An ornate clock tower tops this grand building on the courthouse square. Inside, work included restoration of original marble flooring, wood windows, doors, millwork, hardware, plaster, and original finishes. Historic paint colors were reproduced for the interior, transforming contemporary all-white walls into rich colors of brown, russet, terra cotta, green, and cream. 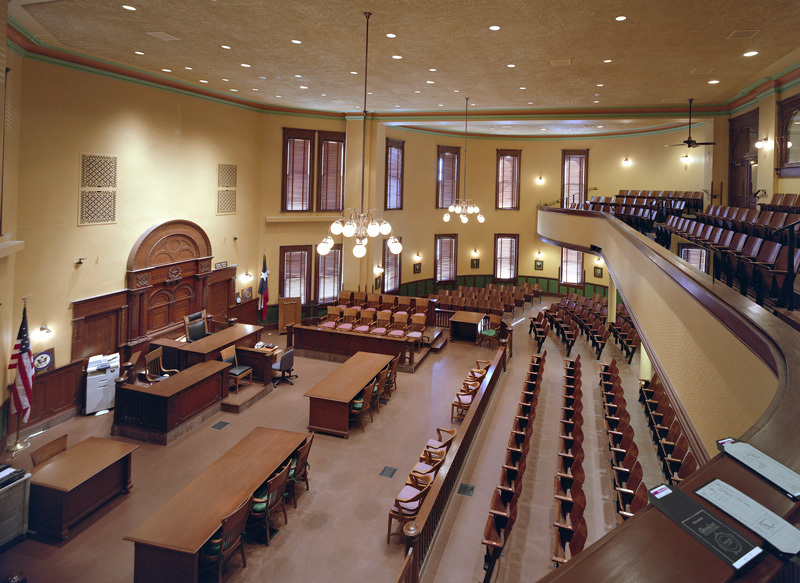 The building contains one of Texas’ largest collections of historic courthouse furnishings including oak tables, chairs, bookcases, desks, and filing cabinets. As part of the restoration, new furniture was selected to complement the original oak pieces. 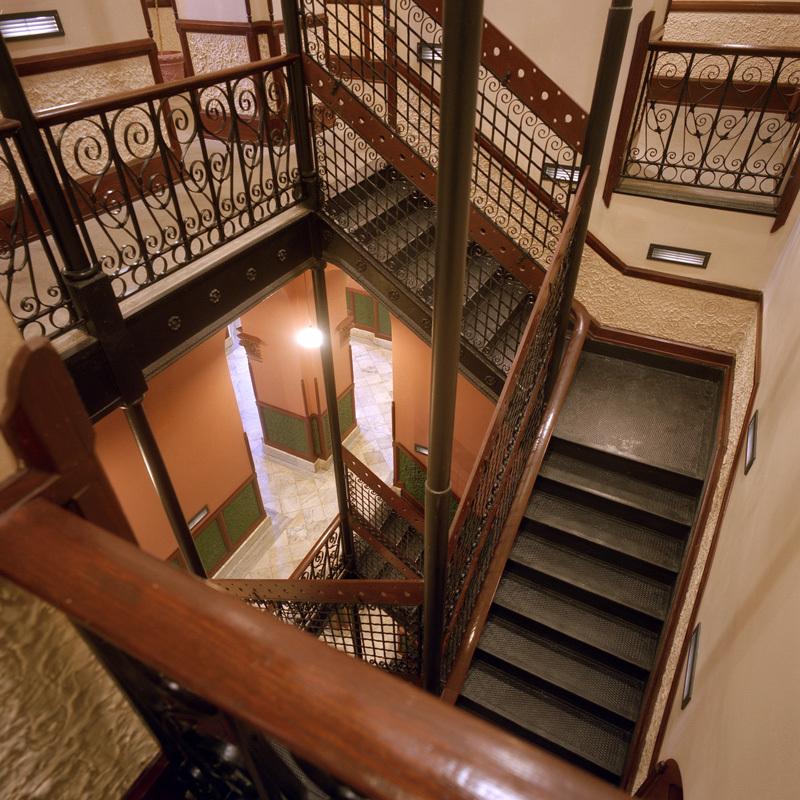 The original cast iron spiral stairs behind the district courtroom were restored, although they are not used for the public but are available for an emergency security exit. 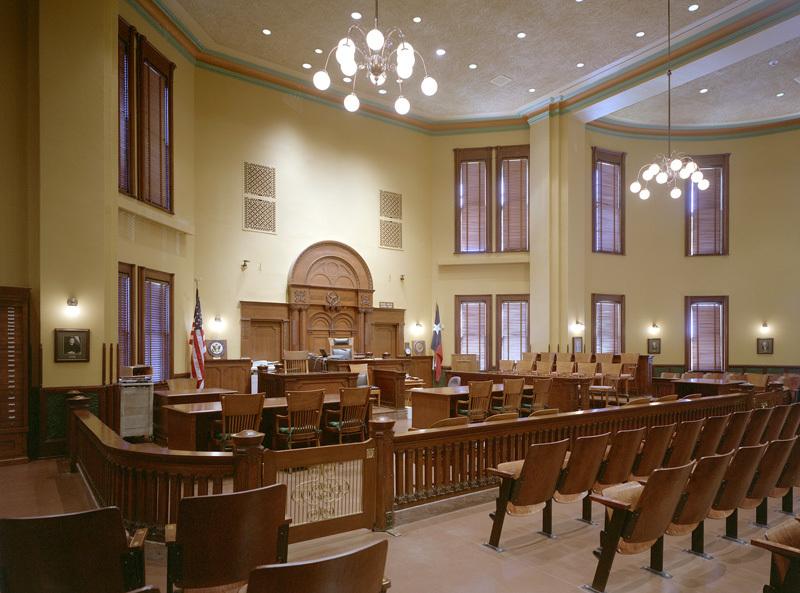 View images of the Ellis County Courthouse in the photo gallery below. 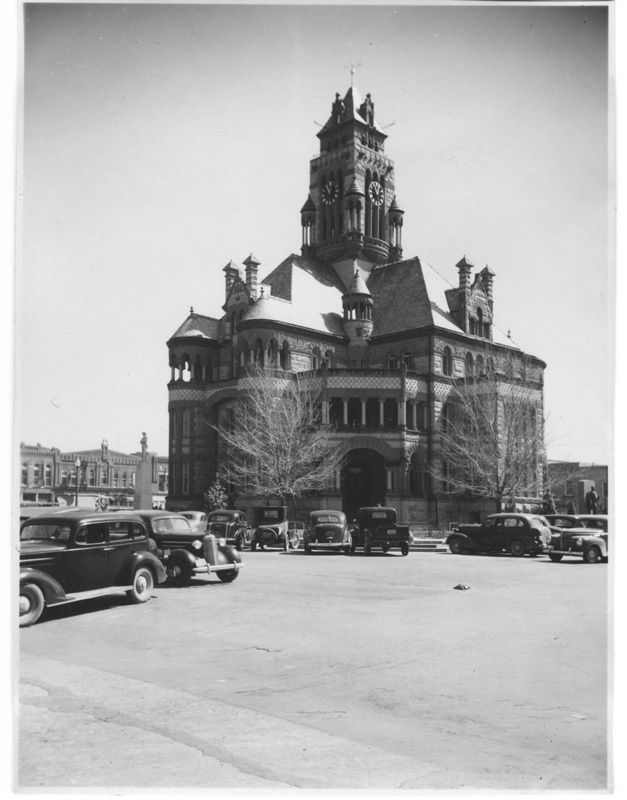 To read more about the history of the courthouse and find attractions in the Texas Main Street city of Waxahachie, visit the Texas Lakes Trail Region website. The THC is now accepting applications for the THCPP’s Round IX grant cycle through January 8, 2016. The program received a $20 million appropriation from the 84th Texas Legislature for the 2016–17 biennium. 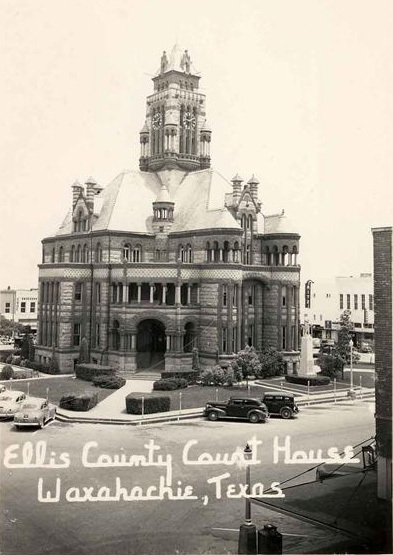 Ellis County Courthouse in 1940.